The PW range of motor oils are non-dispersant & micro detergent engine oils specially designed for vintage & classic cars produced up to 1950s, prior to the introduction of multigrades, where a non-detergent formulation is required. These oils should be used on engines that do not have a micro-particle filter (made of paper or felt), as these engines require the oil to be purified by sedimentation in the sump. This oil should also be used where an engine’s condition is unknown. PW engine oils reduce the dispersal of accumulated sludge and carbon deposits that may be in the engine. 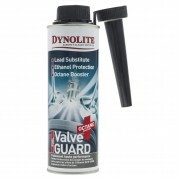 It also contains corrosion inhibitors to protect the engine during prolonged periods of inactivity. Prewar 20W-60 is a light grade engine oil replacing SAE30 grade. Prewar 25W-70 is a medium grade engine oil replacing SAE40 grade. Prewar 40W-70 is a heavy grade engine oil replacing SAE50 grade.